If you are considering buying a new front door (simply for a new look or update), review the safety of it. A large glass door is a beautiful but may not be ideal if there is a concern of a break-in. If the glass could be broken and someone could reach the door knob and unlock it, this might not be the best option. Steel doors are becoming more popular because of their durability and safety. They are resistant to fire, warping and cracking. Did you know that you can also fill them with insulation? Great bonus! Spring time means time to trim shrubs and plant flowers! Be sure that you don’t have any overgrown plants, as these can be hiding spots for pests. Check for wasp and hornets nests regularly and take action when you see them form. If you have pets and children that spend time outside then you really want these pests gone! Sliding glass doors are great because of the amount of light that is let in. Keeping a bar in the groove when the door is not in use is recommended in case the lock is picked. Windows can be another easy way to gain access into a house, particularly if they’re on the first floor. An obvious safety measure is to keep windows locked at all times when not in use. If you’re considering upgrading your home’s windows, it’s worth taking a look at triple pane windows. Homeowners rave about their energy efficiency because they have three layers of glass. Having three layers of glass also means that they’re much more difficult to break into than low-grade single pane windows. Additionally, the locks on new windows are much more secure than those on older models. 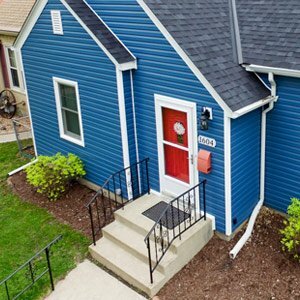 If you are curious about any other safety improvements for your Minnesota home or to ensure that your home is up to code with Minnesota safety standards, contact the city you live in. 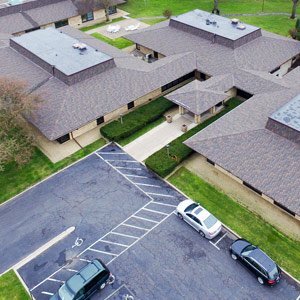 Your local Bloomington roofing contractor like Snap Construction can also help walk you through the requirements and provide tips.